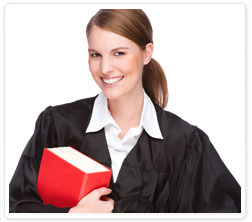 Evoluz Translation Services Canada and USA provides professional translation services for legal documents. With our stringent and consistent quality control, we guarantee the accuracy of your translated document, giving you added benefits and peace of mind. We customize our services as per your requirement; we can also arrange authentication of the translated document by an official notary if needed. Evoluz Translation Services is both Canadian (CAN/CGSB-131.10) and European (EN15038) Translation Services quality standards compliant. We only employ translators who are current or former legal secretaries, paralegals, court interpreters or ex-attorneys who have the expertise and knowledge and are qualified to translate your legal documents. At Evoluz, to maintain and guarantee high quality of our translations, our translators are selected according to strict criteria in compliance with ISO 9001 and EN 15038 quality standards.